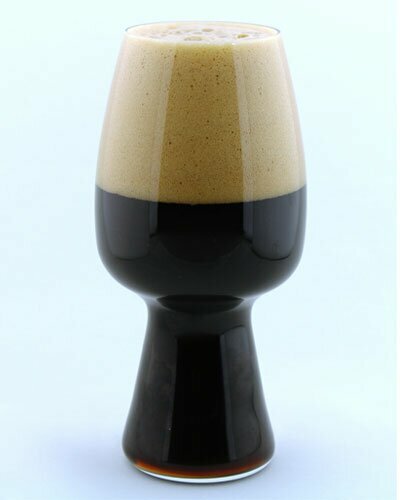 Description: Stout is a dark beer made using roasted malt or roasted barley, hops, water and yeast. Stouts were traditionally the generic term for the strongest or stoutest porters, typically 7% or 8%, produced by a brewery. The first known use of the word stout for beer was in a document dated 1677 found in the Egerton Manuscript, the sense being that a stout beer was a strong beer not a dark beer. Because of the huge popularity of porters, brewers made them in a variety of strengths. The beers with higher gravities were called "stout porters", so the history and development of stout and porter are intertwined, and the term stout has since become firmly associated with dark beer, rather than just strong beer. Food Pairing: Smoked or grilled meats like pork tenderloin, steak and beef roast; shepherd’s pie and spicy Asian dishes; seafood such as crayfish and raw oysters; desserts like cheesecake or chocolate cake. Description: Also known as Milk Stout - a very dark, sweet, full-bodied, slightly roasty ale that can suggest coffee-and-cream, or sweetened espresso. Gravities are low in England, higher in exported and US products. Variations exist, with the level of residual sweetness, the intensity of the roast character, and the balance between the two being the variables most subject to interpretation. History: An English style of stout developed in the early 1900s. Historically known as “Milk” or “Cream” stouts, legally this designation is no longer permitted in England (but is acceptable elsewhere). The “milk” name is derived from the use of lactose, or milk sugar, as a sweetener. Originally marketed as a tonic for invalids and nursing mothers. Description: A very dark, full-bodied, roasty, malty ale with a complementary oatmeal flavour. The sweetness, balance, and oatmeal impression can vary considerably. The level of bitterness varies, as does the oatmeal impression. Light use of oatmeal may give a certain silkiness of body and richness of flavour, while heavy use of oatmeal can be fairly intense in flavour with an almost oily mouthfeel, dryish finish, and slight grainy astringency. History: A variant of nourishing or invalid stouts of the late 1800s using oatmeal in the grist, similar to the development of sweet stout that used lactose. Later went through a shady phase where some English brewers would throw a handful of oats into their parti-gyled stouts in order to legally produce a ‘healthy’ Oatmeal Stout for marketing purposes. Most popular in England between the World Wars, was revived in the craft beer era for export, which helped lead to its adoption as a popular modern American craft beer style that uses a noticeable (not symbolic) quantity of oats. Description: A very dark, moderately strong, fairly dry, stout with prominent roast flavours. Also known as Foreign Stout, Export Stout, and Foreign Export Stout. Historic versions (before WWI, at least) had the same OG as domestic Extra Stouts, but had a higher ABV because it had a long secondary with Brettanomyces chewing away at it. The difference between domestic and foreign versions were the hopping and length of maturation. History: Stronger stouts brewed for the export market today, but with a history stretching back to the 18th and 19th centuries when they were more heavily-hopped versions of stronger export stouts. Guinness Foreign Extra Stout was first brewed in 1801 according to Guinness with extra hops to give it a distinctive taste and a longer shelf life in hot weather; this is brewed in Africa, Asia and the Caribbean. It makes up 40% of all the Guinness brewed around the world. Description: A black beer with a pronounced roasted flavour, often similar to coffee. The balance can range from fairly even to quite bitter, with the more balanced versions having a little malty sweetness and the bitter versions being quite dry. This is typically a draught product today; bottled versions are typically brewed from a higher OG and are usually called Extra Stouts. Regional differences exist in Ireland, similar to variability in English Bitters. Dublin-type stouts use roasted barley, are more bitter, and are drier. Cork-type stouts are sweeter, less bitter, and have flavours from chocolate and specialty malts. History: The style evolved from attempts to capitalise on the success of London porters, but originally reflected a fuller, creamier, more “stout” body and strength. Guinness began brewing only porter in 1799, and a “stouter kind of porter” around 1810. Irish stout diverged from London single stout (or simply porter) in the late 1800s, with an emphasis on darker malts. Description: A fairly strong, highly roasted, bitter, hoppy dark stout. Has the body and dark flavours typical of stouts with a more aggressive American hop character and bitterness. Breweries express individuality through varying the roasted malt profile, malt sweetness and flavour, and the amount of finishing hops used. Generally has bolder roasted malt flavours and hopping than other traditional stouts (except Imperial Stouts). History: A modern craft beer and homebrew style that applied an aggressive American hopping regime to a strong traditional English or Irish stout. The homebrew version was previously known as West Coast Stout, which is a common naming scheme for a more highly-hopped beer. Description: An intensely-flavoured, big, dark ale with a wide range of flavour balances and regional interpretations. Roasty-burnt malt with deep dark or dried fruit flavours, and a warming, bittersweet finish. The American versions have more bitterness, roasted character, and finishing hops, while the English varieties reflect a more complex specialty malt character and a more forward ester profile. History: A style with a long, although not necessarily continuous, heritage. Traces roots to strong English porters brewed for export in the 1700s. After the Napoleonic wars interrupted trade, these beers were increasingly sold in England. The style eventually all but died out, until being popularly embraced in the modern craft beer era, both in England as a revival and in the United States as a reinterpretation or re-imagination by extending the style with American characteristics. Description: Inspired by brewers back in the 1800's to win over the Russian Czar, this is the king of stouts, boasting high alcohol by volumes and plenty of malt character. Low to moderate levels of carbonation with huge roasted, chocolate and burnt malt flavours. Often dry. Suggestions of dark fruit and flavours of higher alcohols are quite evident. Hop character can vary from none, through balanced, to aggressive.